Mizz Money (#9) held off Vielsalm (in between) and Heath (#12) to win the Grade 3 Gallorette. Photo by Laurie Asseo. 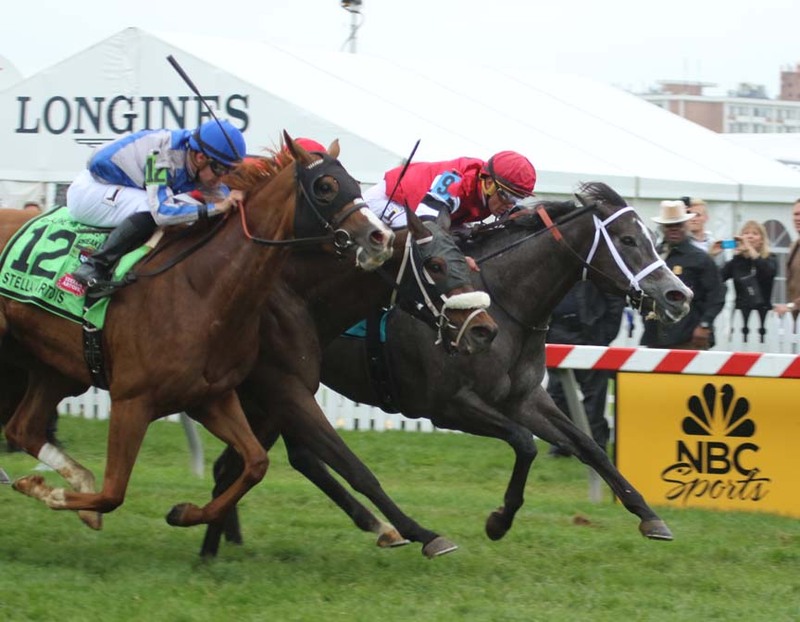 The GQ Approach features full-card selections from Pimlico for the 12-day live racing meet, Post Time 1:10pm EDT including a daily Best Bet, Longshot Play, and multi-race wagers — including the 20 cent Rainbow Pick-6, 50 cent Early and Late Pick-5s, as well as Pick-4s and rolling Doubles, Pick-3s and the Super High-5. #7 – Bode’s Dream (12-1): Pletcher’s “other” filly as J. Velazquez picks #8 to ride over this one but gets J. Castellano in the irons who is no slouch; appeared to be a top sprinter until she abruptly stopped in G2 Forward Gal in Feb.; nearly 2-months off from training indicates there was an issue which appears to have been resolved based on bullets in the A.M.
On Thursday May 18th at Pimlico had just 5 winners from the 9-race card (2 Top Selections; payoff in BOLD) having $2 WIN pay-offs of $3.80 (1st race), $3.40 (2nd), $2.80 (5th), $5.60 (8th) and $10.00 (9th). Of the suggested multi-race wagers hit the R1-R2 $2 DOUBLE for $7.00 (cost: $8) and R8-R9 $2 DOUBLE for $23.80 (cost: $12). Top Selections in 2017 are 141 for 519 (27.17%). In 2016, Top Selections were 304 for 1,213 (25.02%). 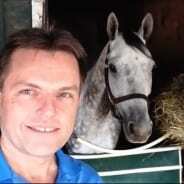 BEST BET of the Day (58: 18-13-12; in 2016 127: 31-29-19) Celtic Moon (3rd race: 5-2 M/L; 2-1 PT) saved ground on the turn, eased out a bit approaching the eighth pole and failed to menace while settling for the SHOW purse and returned $2.60 to SHOW. LONGSHOT PLAY of the Day (50: 6-8-9; in 2016 124: 13-13-16) Nickos Red Star (6th race: 12-1 M/L; 11-1 PT) bumped and forced in at the break, recovered and raced well off the pace saving ground, stayed inside into the lane, angled out and had belated action to finish fourth.